Similar to human health insurance, pet insurance helps provide peace of mind in case the unfortunate should happen. Its purpose is to help cover the costs of unexpected accidents and illnesses that may occur in the future. Unfortunately, it will not cover any current conditions your pet may have which are known as pre-existing conditions. This means that the ideal time to insure your pet is as early as possible so that anything that happens in the future will be covered. When your insured pet becomes sick or injured, you take him to the veterinary clinic for treatment. You then submit your invoice along with the pet health insurance claim form to be reimbursed at a percentage, less your chosen deductible. Why get health insurance for dogs and cats? Pet insurance is for those who want to provide their pet the best medical care possible with less worry about cost. It helps provide financial peace of mind and can help pet owners with the difficult decision of treatment vs. 'economic' euthanasia. How do I get pet insurance? You can sign up your pet(s) by simply filling out the quote form and selecting your custom deductible to decide on the right premium for you. If you prefer, you can also enroll over the phone by calling 212-942-0785. Full coverage will become effective after the waiting periods have passed. Our waiting periods are 5 days for accidents and 30 days for illnesses which begin retroactively at midnight on the day you sign up. Once these periods have passed, your coverage is in full effect should an accident or illness occur. The unfortunate fact is that one in two pets will experience a major healthcare crisis during its lifetime1. It is more common than ever for dogs to develop cancer, diabetes, hip dysplasia and other major health conditions. But now with advances in veterinary care, injured and sick dogs can all be treated more efficiently and effectively than ever before. While these health concerns will always be emotionally draining for the pet owner, the strain is compounded by the financial toll that comes with advanced veterinary care. Dog insurance can help lessen the financial strain felt in these situations by providing coverage for necessary treatments. 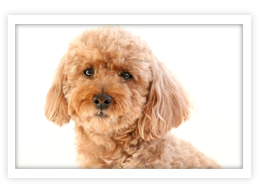 Trupanion offers pet insurance for your dog that is simple and easy to use. There are no payout limits and no restrictions on the care required for your dog. Monthly dog insurance premiums are determined by your location, and your dog’s breed and age at time of enrollment. Cat Insurance Unfortunately, statistics show that 50 percent of pets will suffer a major healthcare crisis in their lifetime1. These serious health conditions include heart disease and cancer, and can be devastating to a family. In addition, cats are also susceptible to chronic health conditions like hyperthyroidism and kidney disease. These chronic conditions often come with a lifetime of treatment, such as life-long medication or monthly check-ups with a veterinarian. But the good news is that all of these conditions are more easily treated than ever before with recent advances in veterinary care. But even with these new veterinary options available, the cost that comes with this advanced level of care is high and many times not within a family’s budget. That is why cat insurance makes so much sense. With cat insurance, cat owners can rest assured that the financial strain can be lessened so they can make decisions based primarily on what is the best option for their cat, not which option is within their budgetary restraints. By obtaining the best pet insurance available, you will have peace of mind that in case of an illness or accident, your cat can be well cared for without a financial burden. 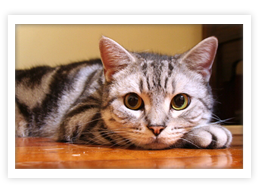 Trupanion offers one simple cat health insurance plan with 90% coverage and no payout limits. Monthly cat insurance premiums are based on your location, cat’s breed, and age at time of enrollment. Copyright 2011 GWB Brokerage. All rights reserved.